The Camaro returned to Indy just two years after pacing the race in 1967. With its striking white and “hugger orange” color scheme, the 1969 Camaro SS/RS has become one of the most popular Indy Pace Cars of all times. This particular car in the GM Collection is not one of the actual cars that Paced the race, but rather is considered a Pace Car Replica. It was one of 3,675 “Z11” vehicles built by Chevrolet. 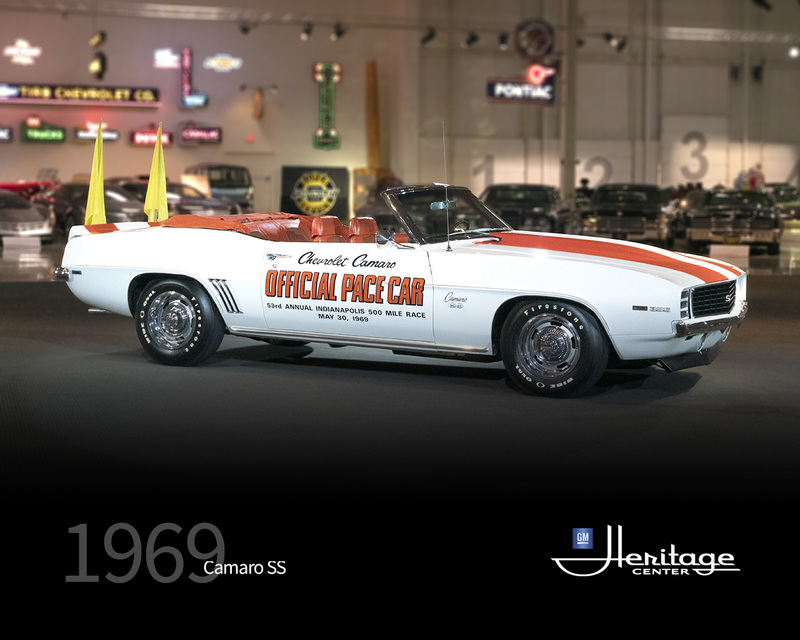 According to records, only TWO Camaro SS Pace cars with 375 HP, 396 cid and TH400 Auto transmissions were produced, specially rebuilt and used as OFFICIAL PACE CARS…one as actual and another as back-up. There were also 43 “festival” cars built, and it’s believed all were 350-cid/THM350. Additionally, 75 cars were built/designated as VIP/Press Cars, and were a mix of 396-cid/4-spds and 350-cid/THM350. 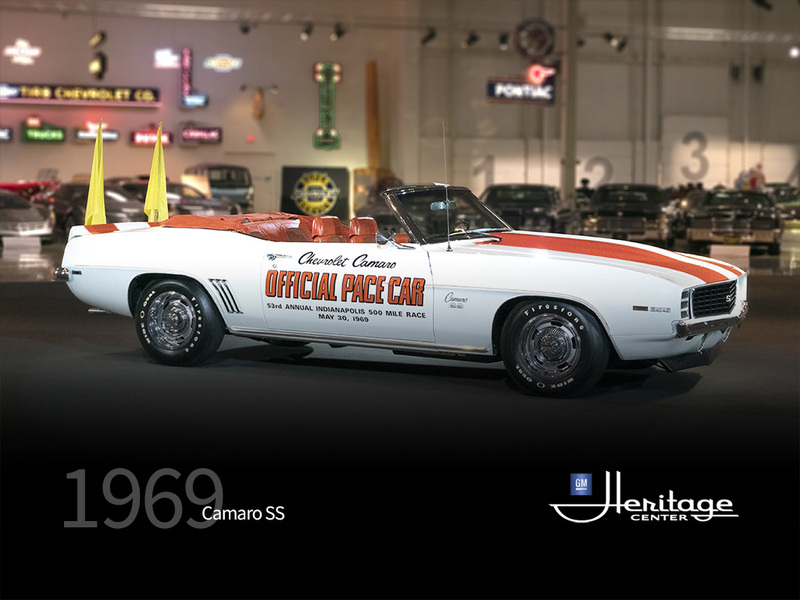 In all, Chevrolet built 3675 replicas of the 1969 pace car. The pace car led the starting field on 3 unscored warm-up laps (2”parade laps” 1 “pace lap”). During the “parade” laps, often several replica festival pace cars joined the field, usually carrying celebrities or special guest drivers. After 2 laps, they’d pull off and the lone pace car would lead the final “pace” lap until it too, would pull off and allow for a rolling or ”flying” race start. The Pace Car had to be strong!